Learn More CALL (757) 675-6627 FOR AN APPOINTMENT OR EMAIL US AT DIRECTOR@LINDAMATNEYGALLERY.COM. Valerie Hardy has lived and worked as an artist in Virginia since 1981. She and her husband, the artist Martin Johnson, moved to the Church Hill area of Richmond in 2008. Their studios are at 107 E. Cary Street. She will be in Paris this coming November and December for a residency at the Cite Internationale des Arts. Over her entire artistic career, Hardy has focussed on the interplay of the objects, the spaces, the light, the people, that catch her eye. Her challenge is to reveal the relationships among and between them, in a way that says something visually interesting while representing these things as identifiably themselves. Since the early 70's Martin Johnson (b.1951) has transformed words and materials into masses of unexpected visual, linguistic, and conceptual art forms using unconventional techniques and non traditional materials. 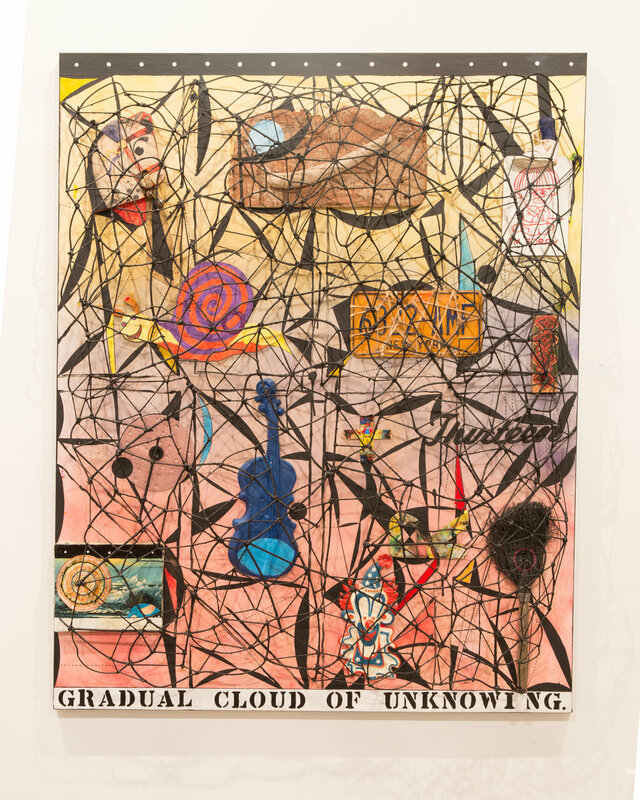 Johnson removes found objects and words from their original context, dislocating them in time and giving them new resonance as manipulated, juxtaposed, and often replicated subjects that convey his ideas and allows the viewer to develop his or her own. 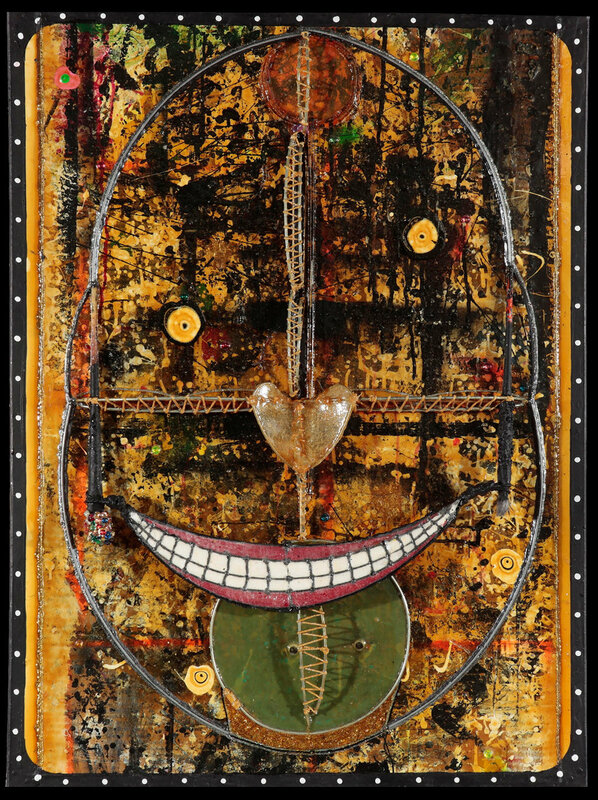 Stylistically linked to 'Outsider Art', Johnson defies categorization. 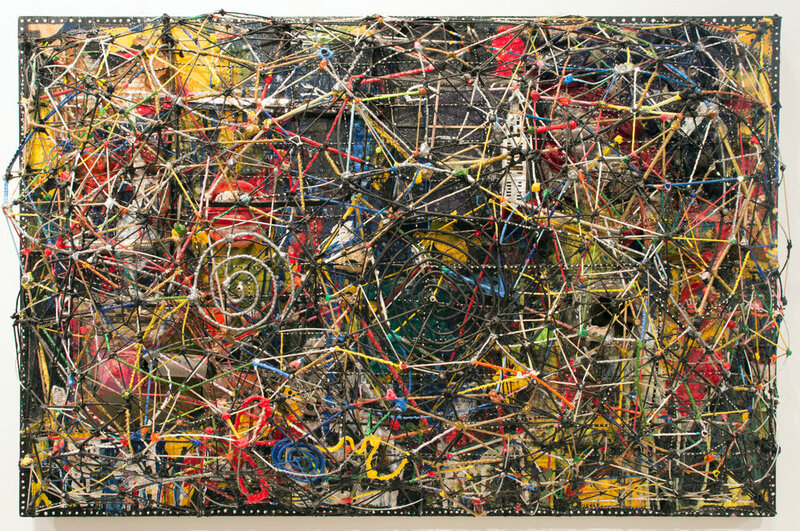 A self described "untrained educated artist", he presents a unique hybrid of Conceptualism and Art Brut in the paintings, drawings, sculptures, collages, installations and low-relief constructions that define this massive oeurve. Donad Kuspit wrote "Johnson is a true American Original". Martin Johnson was born in New Jersey, in 1951, and moved with his family to Richmond at age five. He earned a degree in Architecture from Virginia Polytechnic Institute and State University (1974), and an MFA in Studio Art from the University of North Carolina, Chapel Hill (1977). Upon graduating from UNC, Johnson moved to New York City where he was granted one of the first studios at PS1, the landmark institute of contemporary art that is now a permanent exhibition site for MoMA. Johnson’s early career garnered critical attention, including support from curator Marcia Tucker, gallery owner Phyllis Kind and Critic Donald Kuspit. He was represented by Phyllis Kind Gallery in Chicago and New York from 1979 to 1987, during which time his work entered numerous private collections, including those of famed contemporary collectors Donald and Mera Rubell and Herbert and Dorothy Vogel. Recently, as part of Dorothy and Herbert Vogel’s “50 x 50” gift to museums and art institutions across America, Johnson’s work entered the collections of 36 museums throughout the United States, including the Virginia Museum of Fine Art and the National Gallery of Art. Martin Johnson is showcased in the new film - Herb and Dorothy 50X50 which premiered at the Whitney Museum March 2013.